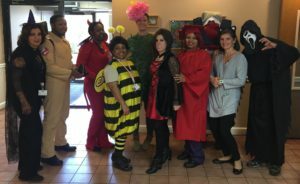 With Renaissance staff members dressed in their Halloween best! 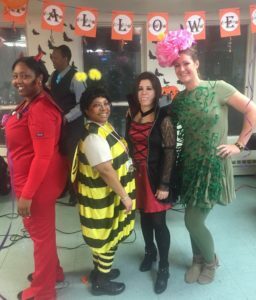 Roxann, Venus, and Sandy – Runners Up and Meghan – First place dressed in her “Cactus Flower” costume. ← Labor Day at Renaissance!